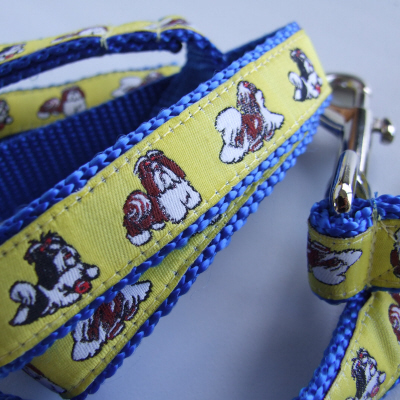 A Shih Tzu design on yellow woven ribbon sewn onto sturdy blue nylon webbing. 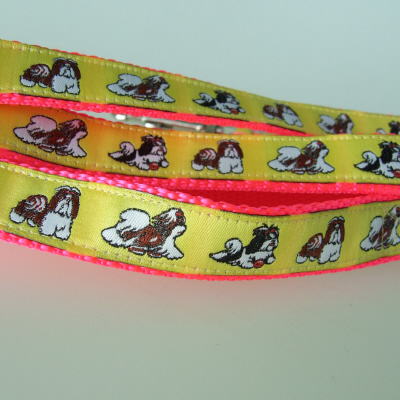 A Shih Tzu design on Yellow woven ribbon sewn onto sturdy Pink nylon webbing. 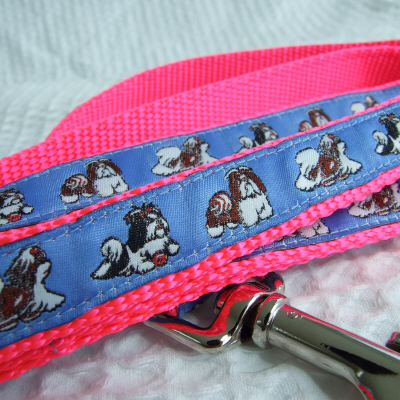 A Shih Tzu design on light blue woven ribbon sewn onto sturdy Pink nylon webbing. 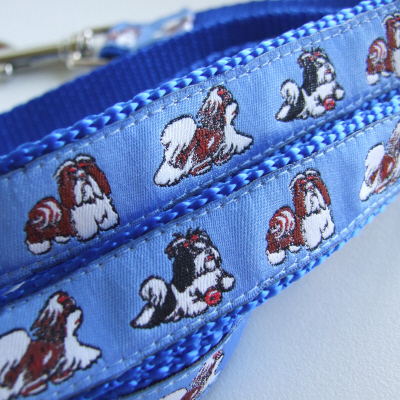 A Shih Tzu design on light blue woven ribbon sewn onto sturdy blue nylon webbing. 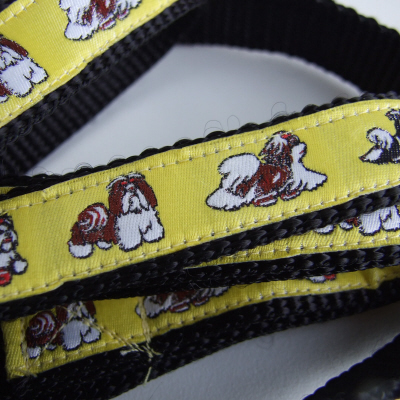 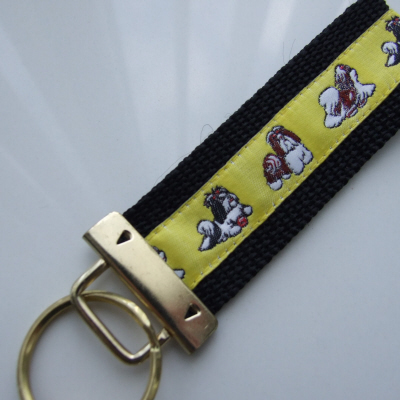 A Shih Tzu design on Yellow woven ribbon sewn onto sturdy Black nylon webbing. 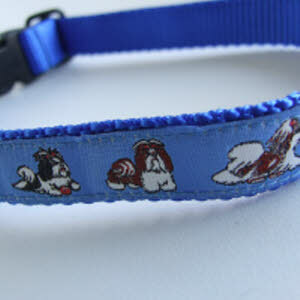 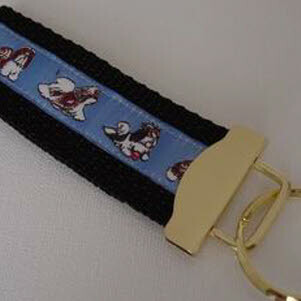 A Shih Tzu design on Blue woven ribbon sewn onto sturdy black nylon webbing. 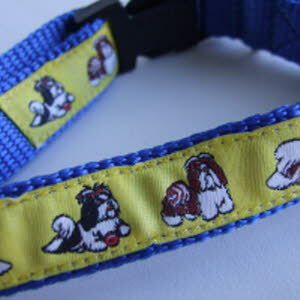 A Shih Tzu design on Blue or Yellow woven ribbon sewn onto sturdy black nylon webbing.